From the RAM 1500 to the RAM 3500, you’ll find a strong performance with a high-tech and entertaining cabin for an enhanced New London drive. Find the new RAM truck that best suits your driving needs and budget, then peruse our new vehicle specials, and drive home in your favorite. 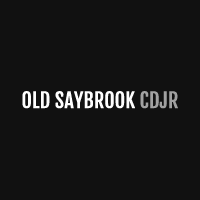 At Old Saybrook Chrysler Dodge Jeep RAM, you can find the truck that’ll provide the strong, comfortable, and capable ride you want and need no matter the adventure. Take a test drive in your favorite RAM truck today, find the right special for you, then drive home in your new RAM. Apply for financing online or contact us today to learn more. Advanced features and quality comfort aside, a RAM truck can provide the efficient and powerful performance you’ve been looking for. Find your favorite model in our RAM truck inventory, browse our new vehicle specials, then contact our finance department to get the process started. Contact us today to learn more about these models, compare the All-New RAM 1500 vs RAM 1500 Classic, or to schedule a test drive.